While Beijing is proudly leaking more images of J-20 fifth-generation stealth fighter jet, China continues to buy Russian military jet engines and spare parts, which might indicate China is in a technological deadlock. -China is making an attempt to catch up with world leaders and develop hi-tech vehicles in the absence of crucial military know-how and technology, like engines for ultrasonic cruise flights and active phased array antennas. “As of now, it is too early to say that China is capable of creating a fifth-generation jet from start to finish,” told RT Vasily Kashin from the Center for Analysis of Strategies and Technologies. Despite the fact that China tries to sell clones of the Russian jets at discount prices on the international arms market ($10 million for a J-11, while the Russian original Su-27 is well over $30 million), China continues to buy Russian engines and certain parts of these engines in quantities that far exceed the necessity to do routine maintenance of the Russian planes they use. Chinese dependence on Russian engines can only be explained by technological inferiority of Chinese engine-building. Beijing has found itself in a position when getting a decent 5G fighter jets with complying engines means buying engines in Russia, because no other country will sell them anything similar. This week, news came that Moscow and Beijing are close to striking a deal on China buying 48 Su-35 multifunctional fighter jets for $4 billion. The main reason for this remarkable purchase could be Russia’s jet engines. The Su-35 flies with two next generation AL-41F1C engines that enable it to achieve hypersonic speed without afterburner, a feature attributed to 5G jets. And AL-41F1C actually is a de-rated version of the AL-41F1 (117C) engine used on the undergoing tests T-50 PAK-FA, Russian 5G fighter jet. The new Russian engine AL-41F1C is what China needs to make J-20 fly as a 5G jet. In 2010, when Russia’s Defense Minister Anatoly Serdyukov was on visit to China, Beijing proposed to buy 117C engines, but the offer was turned down. Russians agreed to sell only assembled planes and in addition insist on signing a special anti-copycat agreement, designed to prevent the Chinese from copying the vehicle and its parts, as has happened before. This demand has become a stumbling block in the negotiations. After the news about the deal emerged, the Chinese Ministry of Defense rushed to deny that negotiations on Su-35 with Moscow are in the terminal stage. “Actually, any negotiations with China always come to the following: they try to buy a small lot [of arms] for examination and possible further replication. Naturally, Russia is aware of such risks and refuse to sell arms in small quantities,” said Vasily Kashin, explaining China’s canny moves to obtain missing technology. Russia has great doubts concerning the practicability of selling AL-41F1C engines to Beijing without the special replication clause. This does not suit China because in the end they need technology to organize a production line for such engines of their own. For many years China has been the biggest buyer of Russian military planes. 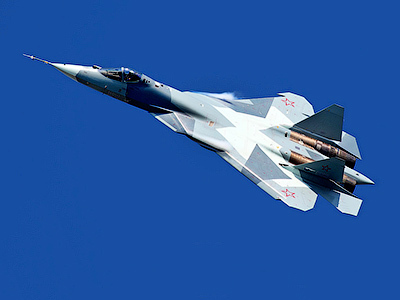 Overall it has bought 178 fighter jets of only Su-27/Su-30 family – until producing a successful copycat of it, named J-11. 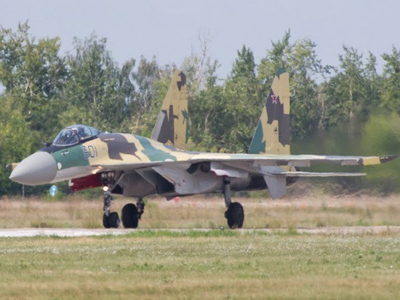 They also replicated Russian deck-based fighter Su-33 (J-15), Su-27 fighter jet (J-10), Su-30 (J-11), MiG-29 (FC-1). 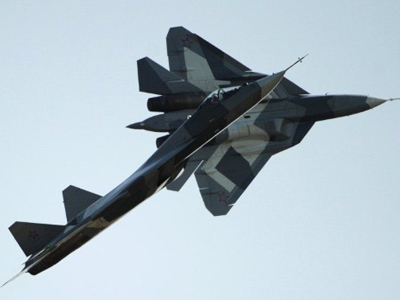 Kashin predicts that after long negotiations Moscow and Beijing will finally strike a separate jet engine deal and Russia will supply engines for the J-20 program, the way it already supplies engines to all four major types of Chinese fighter jets which are actually copycats of Soviet-made planes. “Buying the Su-35 to dismantle its engines to put on J-20 would be madly expensive for the Chinese,” said Kashin. “The J-20 is a very technically-risky project because there is no guarantee that Chinese will be capable to put into shape by 2017 several systems they are developing for the project, including special munitions and an active phased array antenna of they own in-house design,” Kashin told RT. The J-20s will most likely fly with Russian engines for years before they make a reliable engine of their own, Kashin said. 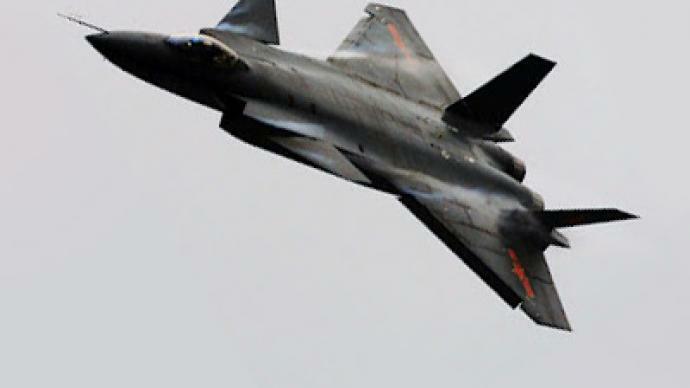 The expert also pointed out that while the Chinese stated earlier they attempted to make a jet with the characteristics of an American F-22, they more likely are now working not on a fighter, but a stealth assault jet. 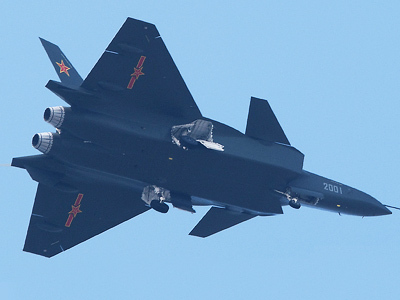 The J-20 will presumably be capable of piercing an enemy’s air defense to strike an important target – something like an aircraft carrier, as could be seen in J-20 “Attack on all fronts” advertising clip.